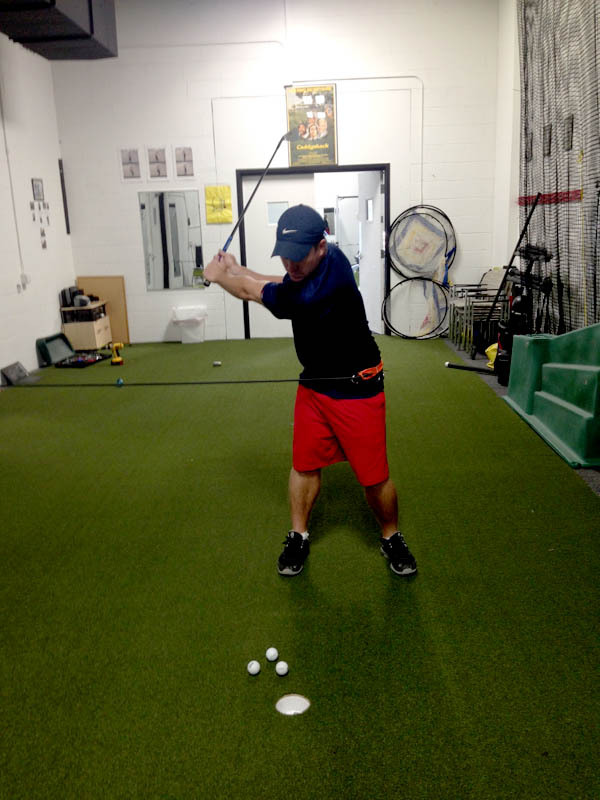 Golf & Fitness Programs Improve Core Strength. Gain Better Overall Health. Lower Scores. 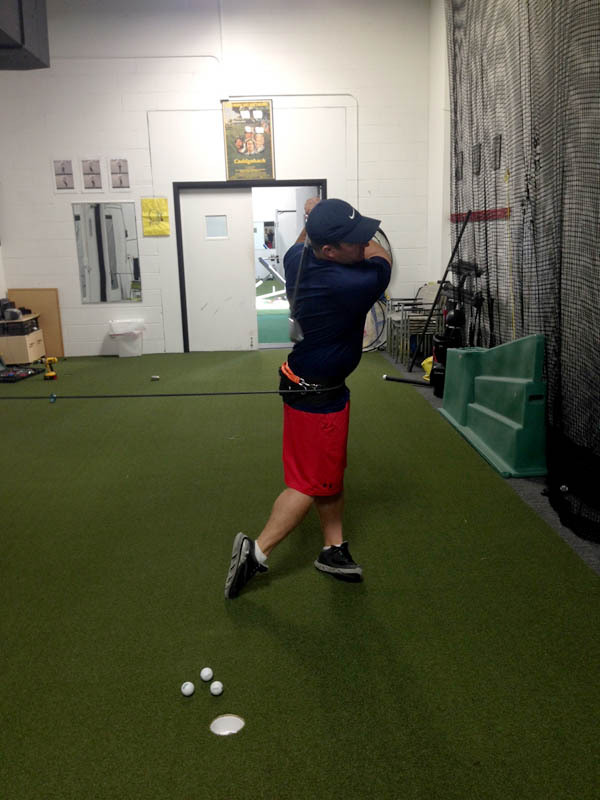 Acceleration Golf Camps will focus o proper warm ups, balance and flexibility. 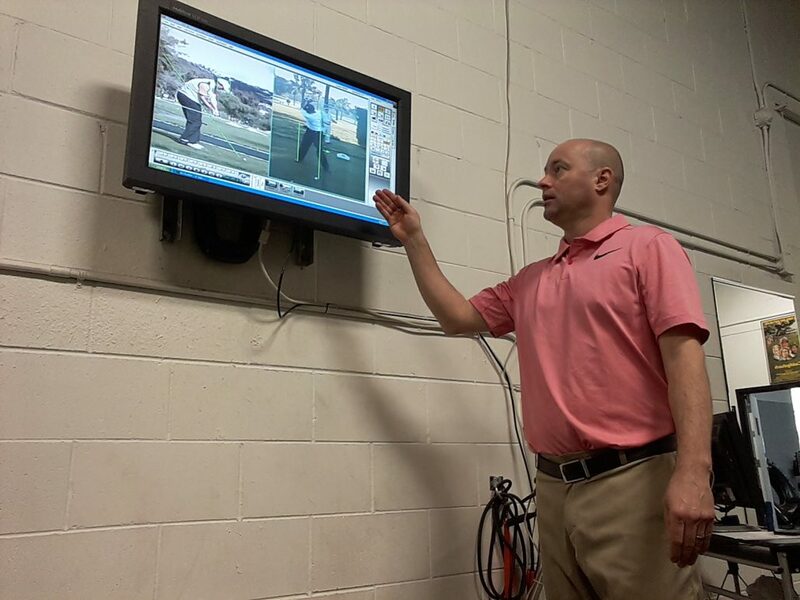 Short game, putting, and full swig drills will also be addressed and reinforced with video analysis. 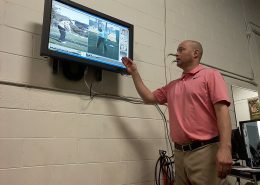 Our PGA professional, Phil Meyer, will be running all golf camps again this winter. There are two great camps to choose from. Groups must schedule together. For Questions please contact Phil Meyer (612) 581-4749 or philmeyer@pga.com. The images on the right are examples of how we can use resistance cords to enhance muscle memory and build strength through the golf swing. 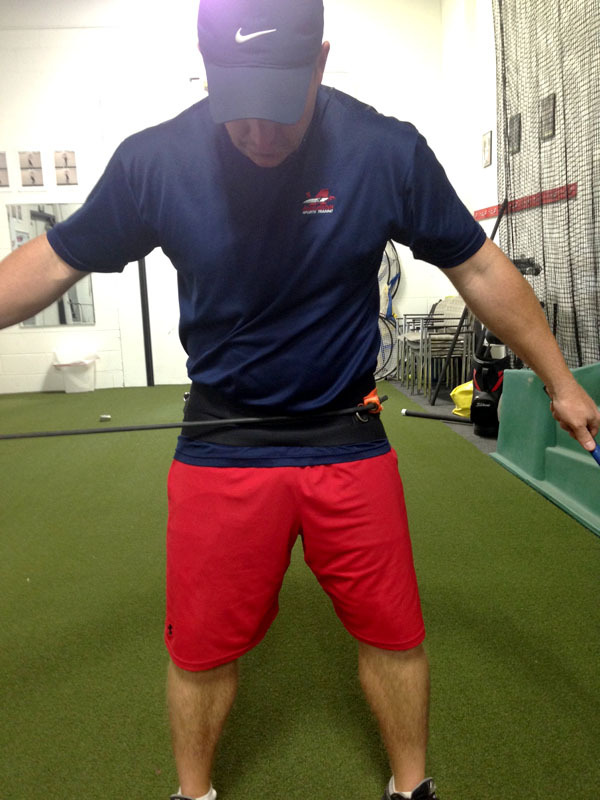 Attached to the waist, the cords help build strength and offer immediate feedback. 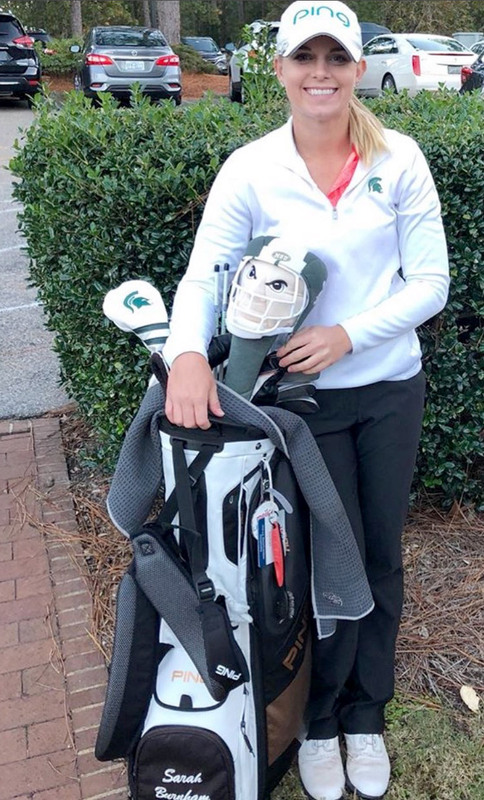 If you do not finish your swing, you’ll be off balance and fall over. 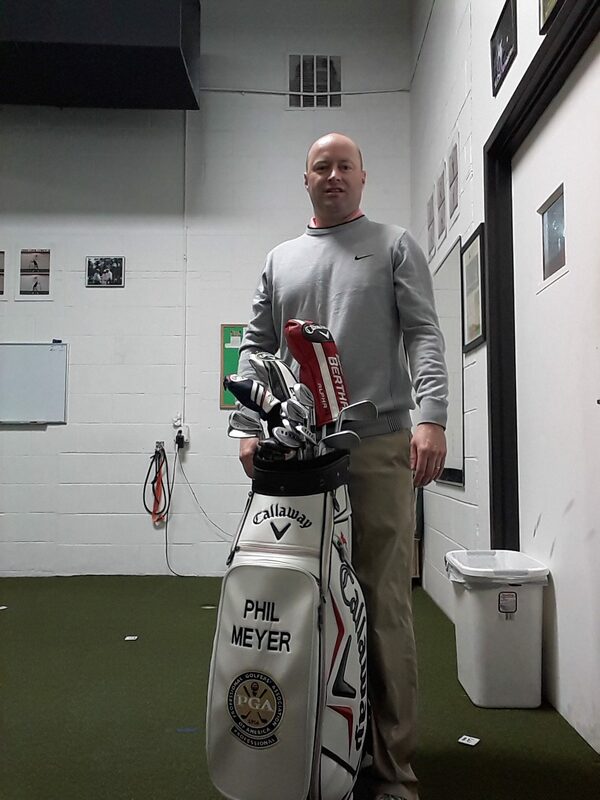 Phil Meyer, a Class A PGA Professional, has been a golf professional for 18 years. He was the Head Golf Professional at the nationally recognized Teal Wing Golf Club in Hayward, WI for 11 years and was also on the professional staffs of Wayzata Country Club and North Oaks Golf Club. 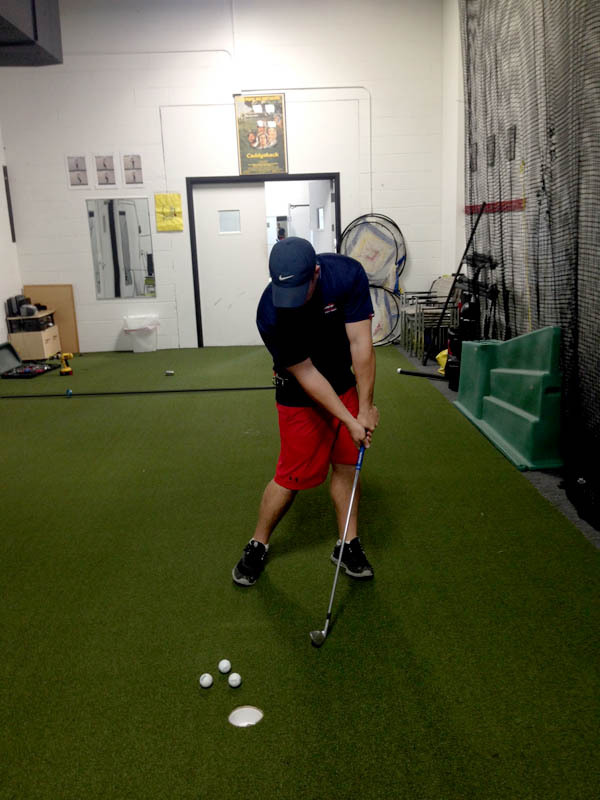 He has a passion for golf instruction and now specializes in teaching the game of golf. 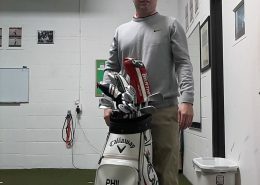 Phil has taught this unique system developed through Acceleration Golf & Fitness and his own extensive personal teachings throughout his career. 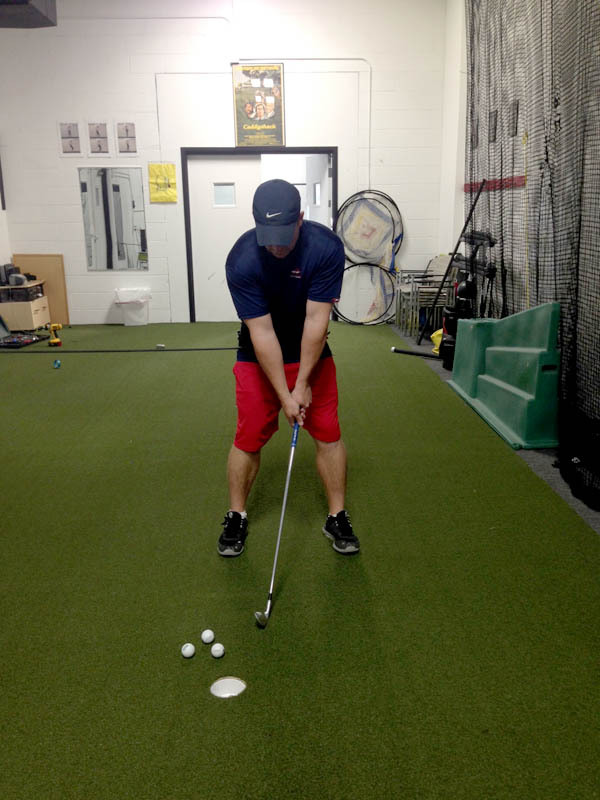 With over 15 years of experience in instruction and thousands of hours logged teaching, he has helped hundreds of students reach for their goals.